To effectively lose weight, you must burn more calories than you eat. Cutting your calorie intake is often the best way to shed pounds. However, eating too few calories can contribute to negative side effects. Unless medically supervised, avoid following very low-calorie meal plans. Eating too few calories won’t prevent you from losing weight. 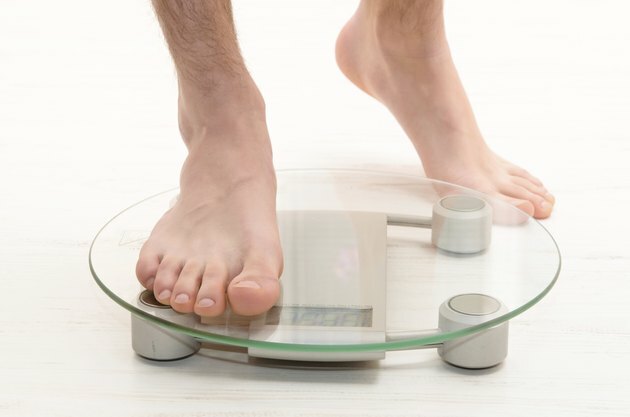 However, it can slow down your body’s metabolism, making it more difficult to shed pounds. A study published in 2006 in “Obesity” found that very low-calorie diets, or VLCDs, containing less than 800 calories daily are not more effective long term than low-calorie diets providing 1,000 to 1,500 calories a day. Weight-Control Information Network, or WIN, says low-calorie diets actually work better for most adults than very low-calorie diets. Eating too few calories, especially fewer than 800 calories a day, can cause nausea, constipation, diarrhea, fatigue and gallstone formation, according to WIN. Because these side effects commonly develop in patients who follow VLCDs, WIN suggests doctors monitor these patients every two weeks, which may become expensive for some people. The main benefit of a very low-calorie diet is you will likely lose weight when following it because your body’s basal metabolic rate is almost certainly higher than 800 calories a day, even if you’re sedentary. WIN reports that weight losses of 3 to 5 pounds weekly are common when following very low-calorie meal plans. Therefore, eating too few calories likely won’t prevent weight loss, but it may affect your body’s ability to keep the lost weight off long term. WIN reports that weight regain is common among patients who lose weight using VLCDs. One reason for this is that these diets are difficult to adhere to and often consist of drinking medical nutrition shakes or eating bars as meal replacements instead of healthy meal planning. The best weight-loss strategy for long-term success is losing weight at a rate of 1 to 2 pounds weekly, suggests the Centers for Disease Control and Prevention. Harvard Health Publications recommends that women eat at least 1,200 calories a day and men consume a minimum of 1,500 calories daily during weight loss. How Many Calories a Day to Lose 4 Pounds per Week? Is It Safe to Lose Weight in Your First Trimester? Can You Eat Unlimited Fruit & Veggies & Lose Weight? How Much Can You Lose on a 1,500-Calorie Diet?